Disney to Adapt Iconic ‘Fantasia’ Sequence Into Live-Action Movie (Exclusive) – The Hollywood Reporter. On the heels of momentous news leaks that Sony has been working with Marvel to bring him into the Marvel Cinematic Universe, the common refrain has been a joyous one. The various leaked e-mails have revealed that Sony is struggling to figure out what it wants to do with Spider-Man, particularly after merely moderate domestic success with The Amazing Spider-Man 2, and Marvel Studios’ overtures to have Spidey included in Captain America: Civil War. A scoop coming from Screen Gonzo claims to have some more details on a “Spidey Summit” proposed by Sony executives to craft a plan for the web-head. Screen Gonzo is reporting that the summit with include Marvel Studios head Kevin Feige as well as Sony head Amy Pascal (who may be too busy trying to save her job) at Pinewood Studios. The report suggests that if the deal goes through Marvel is seriously considering on using their famous post-credit stingers to fully set up Spider-Man for the 2-part Avengers: Infinity War. It was also revealed in the leaked e-mails Joe and Anthony Russo are most likely to direct Avengers: Infinity War. The Russo Brothers already revealed to Sony head Pascal that they would like to produce a Spider-Man film. But if Marvel regains the rights they are Marvel’s top pick to write and direct the new trilogy of Spider-Man films after Avengers: Infinity War. However, the stinger could be in Avengers: Age of Ultron with pick-ups starting soon but most likely Captain America: Civil War. What complicates this even more is that Marvel is reportedly ready to blow up the creative team behind the current Spider-Man creative team, including replacing producer Ari Arad (acccording to Screen Gonzo) and star Andrew Garfield (according to Latino-Review). 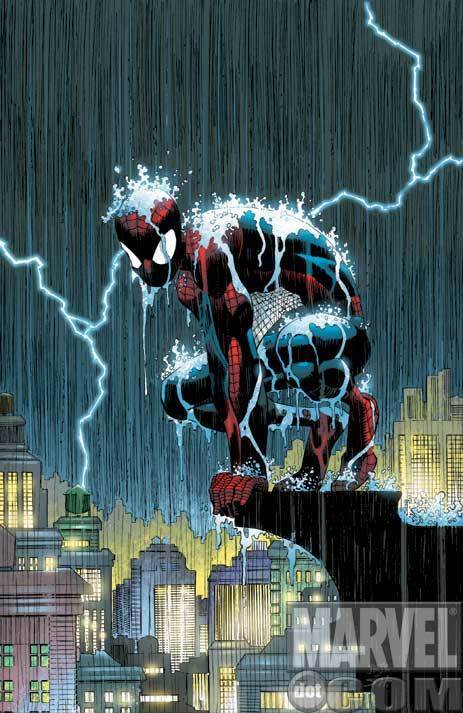 Most fanboys and girls would agree that Arad has been a thorn in the side of the creative teams associated with Spider-Man since the beginning of his film universe, so losing him would be no great shakes. However, the notion that Marvel would replace Garfield and then try to add Spider-Man to a new film universe, might seem to be near impossible based on contracts and popularity. Sliding Spider-Man into a post-credit stinger may be the easiest than we think though. Lest we forget that Thanos appeared in The Avengers in a similar post-credit stinger, played by an actor in a non-speaking role, who was then recast to Josh Brolin in a speaking role in Guardians of the Galaxy. So, the question may be less about aesthetics and ability, but instead a contractual one: what does Sony owe Garfield? Does he have another film in his contract and does he have a contractual right to continuing on as Spider-Man is Sony allows Marvel to use the character. Spider-Man would be a fun addition to the MCU, but would be a serious strain on the already fragile credulity that has been established by Feige and the creatives at Marvel Studios. Moreso, Spider-Man is so tied to New York (mainly because he’s a teenager from Queens) that having him gallivant around the world with The Avengers makes no sense. Now, let’s be honest, this universe is built on the idea that a man dressed up like a robot could become a singular symbol of peace. One thing that Marvel has established is that their fun is grown up fun, kids have not been a significant part of this series, either as recurring characters or even part of the heroism. Kids have mainly been part of the backstory. Harley, the kid in Iron Man 3 has been featured most prominently in a film, but the films have not outright catered to kids, but instead made adult movies that kids could enjoy and think are cool. 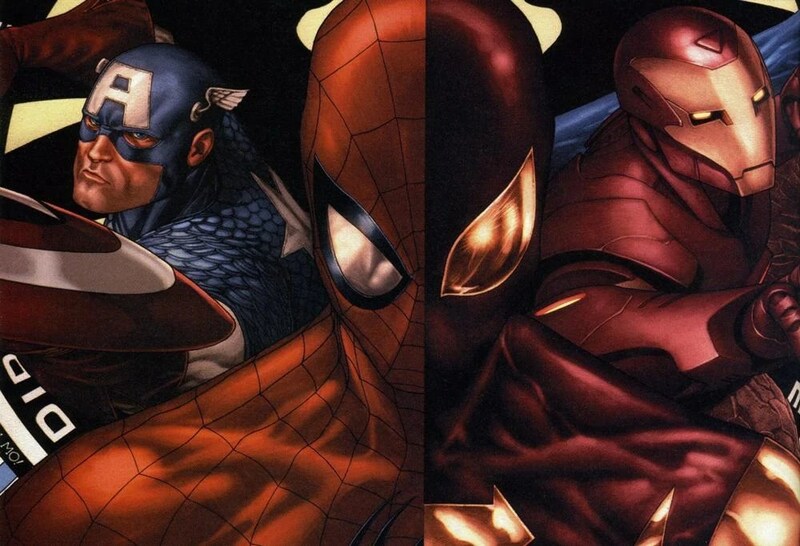 The rumored entry point into the MCU for Spider-Man is Captain America: Civil War because that was his role in the comics. In the wake of a televised tragedy that saw the death of several civilians, the U.S. Government proposed the Superhuman Registration Act, intending to register all super-powered beings as living weapons of mass destruction and requiring all costumed heroes to unmask themselves before the government and subject themselves to federally mandated standards. A struggle for the soul of the country begins after S.H.I.E.L.D. orders Captain America to lead the charge to get heroes to register. Cap refuses and goes underground while Iron Man tries to gain an uneasy peace by taking on the lead as he appears to lack the same moral quandary Cap has. In a public move to bolster confidence after Cap bolts, at a press conference in Washington D.C., Iron Man gave a speech introducing Spider-Man to the podium who unmasked himself and revealed to the world that he was Peter Parker. 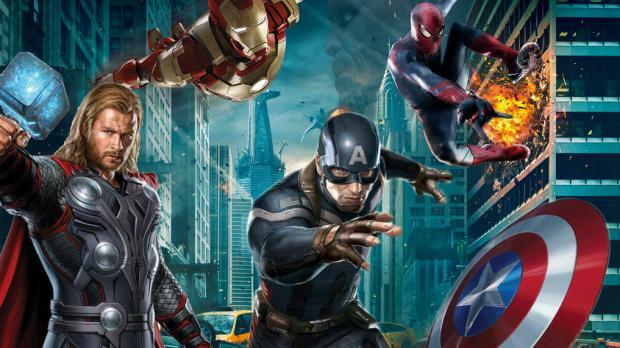 Spider-Man’s role in Civil War is important, but in more of a symbolic way. Spider-Man has no impact on the action of the storyline, which isn’t very conducive to Marvel’s rumored desire to shift Spider-Man’s focus from his relationships to all out action. However, as mentioned before, we won’t likely see Spidey in Civil War in a significant way beyond an end-credit stinger. So what do you do with the character going forward? After a couple of twitter exchanges with a fellow nerd, we discussed how cool it would be for Spider-Man to be an actual teenager for once. The concept may provide nightmares to filmmakers, but gives the truest sense of the uniqueness of the character. A kid hero with the strength of 30 men who can’t get a date, can’t keep a job, and has a curfew. When you hire two actors for two separate franchises in their mid-20s, you immediately lose some of that charm that a child brings to the role. Garfield and Tobey McGuire looked ridiculous strolling high school halls in their first films, but both were very good actors who brought power to that role, a role that primarily has one emotive note to play without the mask which is the death of Uncle Ben. Putting that weight on a teen actor could make the most seasoned director shiver a bit, but what if it was a young Christian Bale or Timothy Hutton? The character of Spider-Man isn’t the only thing that sticks out about putting the wall-crawler into this world, the other major Spidey-verse feature that has been severely lacking from the MCU is The Daily Bugle. In the comics, the Daily Bugle is the voice of the people, reporting on the goings-ons of the Avengers, the exploits of Spidey, and railing against the costumed hero scourge. J. Jonah Jameson featured prominently in the first Spider-Man franchise, portrayed by the prospective Oscar-nominee J.K. Simmons, but was not part of Marc Webb’s series other than as a petulant blogger. Webb struggled to get a bit more realism into his universe and the Bugle just didn’t fit. Just like The Daily Planet struggled for relevance in Man of Steel. One has to assume that in the MCU, newspapers are significantly more useful that that phone that everyone carries around in their pocket. Spider-Man is a classic Marvel character who was supposed to the first modern Marvel film released way back in the early 2000, but Bryan Singer, Fox, and the X-Men trumped them. So when we got Sam Raimi’s imagining of Spider-Man and it was such a smashing success, the world felt like it was ready to embrace the wall-crawler. Spider-Man in the MCU would be cool, but would he be indelible in the MCU? That concern may be the thing that’s troubled the character from the start. As opposed to Marvel Studios’ heroes, the most successful movies of the series haven’t been about the hero trying to get a girlfriend. Marvel has turned its film focus to setting the template for a certain type of film, like a spy thriller (Captain America: The Winter Soldier), a space opera (Guardians of the Galaxy) or a James Bond movie (Iron Man 3). Spider-Man has to find its niche within that strategy, if he comes back to Marvel Studios. One thing they could do is use the character more like they do with the Hulk: no solo films, but use him strategically until a solo endeavor can be worked out. How would you use the hero? Do you think that Marvel should replace Garfield? Do you want Marvel to get Spider-Man back into the fold? Hans Zimmer Will Return For ‘Batman vs. Superman’ Score With Help From Junkie XL. I have agonized over it. I agonized over it, so much so that finally, I went, I don’t want to betray what Chris, James Newton Howard and I did. And so I asked Zack [Snyder] if it would be OK if I called a friend in. And I’m going to be working with Junkie XL, who really is a great friend. He just finished the Mad Max score. I said to him, ‘You take care of Batman. I’ll do the other guy.’ And Zack loved that idea. It’s a way out.